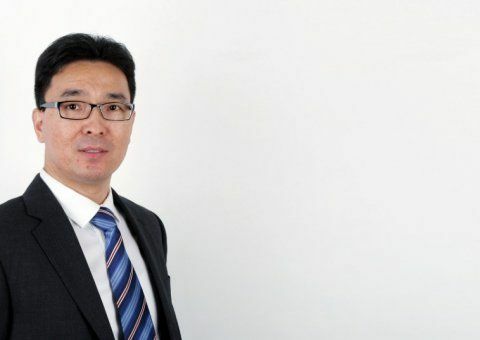 Baoqiang Zheng’s career has developed from an assistant planning engineer on a major hydropower project in China to a senior project planner and delay analysis expert travelling around the world, helping clients resolve complex project planning, claims and dispute situations. Here, he talks about his motivations, career development and what it takes to succeed. Following my graduation with an honours degree in Mechanical Engineering, I was selected to take part in a one-year special training programme organised by the Ministry of Water Resources of PRC. In late 1997, upon the completion of this training programme, I was assigned to work on the Xiaolangdi Multipurpose Dam Project on the Yellow River, funded by the World Bank. It was the second largest hydropower project in China, second to the Three Gorges Project on the Yangtse River. I spent four and half years at Xiaolangdi, working at the Employer’s VCG (Variation Claim Group) office together with senior Chinese colleagues, alongside the employer’s multi-national consultants and lawyers from Canada, the United Kingdom, and Hong Kong. Together, we dealt with complex claim and dispute issues arising from the international contractors from Germany, France and Italy. Following the amicable settlement on the Xiaolangdi Project, I pursued further studies abroad. In 2002, I ended up at Warwick Business School in the UK where I completed my Masters in Management Science and Operational Research. The courses at Warwick provided me with all the key skills in management, strategic thinking, and especially in problem solving. Upon the completion of my Masters degree, I started working with High Point Rendel in London. Here I worked with highly experienced professionals from all disciplines – especially head of planning and scheduling, and a senior delay expert – which enabled me to pick up all the key skills in project planning and scheduling. I learnt the common methods of forensic delay analysis, while at the same time found opportunities to travel around the world to work on a number of major international projects. These covered almost all major sectors in the construction industry, including but not limited to infrastructures, transportation, buildings, process plants and power sectors. When working with High-Point Rendel, I also completed a distance-learning programme in Construction Law and Arbitration. This has further enhanced my knowledge and understanding in the laws associated with construction industry, and the roles and procures in the proceedings of arbitrations. After ten years with High-Point Rendel, I decided it was time to move back to my home country to be closer to my family, and to be more involved with China’s international construction companies and foreign enterprises. I had seen in recent years Chinese companies had been heavily involved in international projects in almost every continent. At the same time, there were and still are a great number of major foreign companies investing and operating in the construction industry in China. Therefore, at the beginning of 2014, I joined Hill International and worked as a director for their Beijing office. I am particularly inspired by the uniqueness and complexity of the construction projects and challenges facing the project teams, especially those working on major international projects. I find it is very stimulating and rewarding as I can use my knowledge, experiences and expertise gained on major international projects help our clients resolve complex issues and get them out of difficult situations. I have also enjoyed the opportunities of travelling internationally and working on the most iconic projects around the world. To mention just a few, I have worked on the Dubai Metro Project in the UAE, Muscat International Airport Project in Oman, Ichthys LNG Project in Darwin, Australia, the Medupi Power Station in South Africa, and the IGCC Power Stations in Jazan, KSA. Although our involvement on each of those projects can be limited to a certain stage, I can feel the impact we can make on the projects and to our clients. That is also why most of our clients have asked us to extend our services or to work on other projects. Being in a project-oriented profession, there is no so-called typical day for me – the way I work changes periodically. As most of my work is client-focused, I will work out with our clients the best approach to deliver the best possible products and outcomes within the time frames and budgets as required and agreed by our clients, taking into consideration of any logistical arrangements or constraints. As most of the projects I work on are international, I often need to travel to the project sites to work alongside the project team members (most typical for live projects), or I could be sitting in the client’s head office where most of the project files or project personnel can be reached (most typical for completed projects). Alternatively, I could be working in our own offices remotely from the project sites – this is normal for very remote projects and the clients can make most of the project files available electronically. Even though all projects are unique, there are still great similarities in the issues practitioners in the construction industry face; our knowledge, experiences and expertise gained on a wide international spectrum put us in the ideal position to best assist and support our clients, making our services really valuable to them. I find those experiences and expertise are particularly useful for our Chinese clients, as they tend to focus on the progress of the works, while at the same time may overlook their contractual entitlements, particularly in terms of time and costs. My work also involves collaboration and cooperation with other HKA offices, either within the APAC region or within HKA worldwide offices as a whole. Since joining the company in 2014, I have been involved in projects with a number of HKA offices, including Singapore, Kuala Lumpur, Hong Kong, Dubai and KSA. Furthermore, as I am the country manager of HKA’s China operations, apart from dealing with routine management issues, I also maintain client relationships and identify new opportunities, which are important parts of my role. In terms of networking and raising company profiles, where possible I often attend relevant seminars and conferences organised by the professional bodies such as Beijing Arbitration Commission, CIETAC, or RICS. I also often present at those professional bodies, and have offered training to a number of major Chinese construction companies. What is your speciality, and how did it become so? Although I have a degree in Mechanical Engineering, I practised as a planner and delay analyst from the beginning of my career. When I started on the Xiaolangdi Project, I was assigned to work with a senior planner, who at the time was the P3 (Primavera Project Planner) expert of the company. I learned how to operate P3 with him, including how to create and manage project plans and how to update and control project progress. Upon starting at High-Point Rendel, I was allocated to work with the head of planning and scheduling, who was also the company’s delay expert and had been heavily involved in arbitration-related matters. Working alongside the head of planning and delay expert gave me the exposure to great opportunities, especially in relation to project planning and scheduling, but most importantly, the various methods of forensic delay analysis and how the issues should be approached differently under various circumstances. I have thoroughly enjoyed being a planner and delay analyst, and being able to assist and help on major international projects. Apart from the deep involvement and hand-on practices in the construction industry, academically I have deliberately designed two of my Masters dissertations on project planning and delay analysis. What do you think have been the reasons for your success? I think the right attitude along with the right platform have been the primary reasons for where I am today. Being native Chinese, it was not easy to get into the construction consultancy field, especially in London. Besides that, I think the most important aspect is the professional attitude, especially being responsible to whatever I do. Before starting any task or commissioning any services, I would normally spend some time to think things through and to identify the right approach first. Most importantly, I never compromise on the quality of my work, as I believe our reputation is built on our consistent delivery of our high quality services within the timeframes and budgets as agreed with our clients. I think my right attitude is also reflected in my habit and ability to pursue continuous professional development. I am proud of myself in that I had long finished my Masters in Law using my spare time, and have achieved fellowship / membership status and qualifications from a number professional bodies, including CIArb, RICS, CIOB, and PMI, all of which have provided me with the right knowledge, expertise and recognition of who I am today and what I am capable of. Furthermore, construction is an industry with high complexity, which covers a wide range of sectors, such as building, defence, industrial, infrastructure, oil & gas, and power & utilities. Only when we have the willingness to learn and to pick up new things, can we gain ourselves the capability and confidence to further advance our career and to gain the trust of our clients. It is also my advice that young professionals who want to get into the construction consultancy field should have the right professional attitude, be persistent and, have the willingness to learn and to continuously develop their career in stages. WISH TO FIND OUT MORE ABOUT BAOQIANG? Find him in our Expert Centre. "I am particularly inspired by the uniqueness and complexity of the construction projects and challenges facing the project teams, especially those working on major international projects. I find it is very stimulating and rewarding as I can use my knowledge, experiences and expertise gained on major international projects help our clients resolve complex issues and get them out of difficult situations."